Chuck Berghofer's Midnight Jazz Band featuring Gary Foster sax. 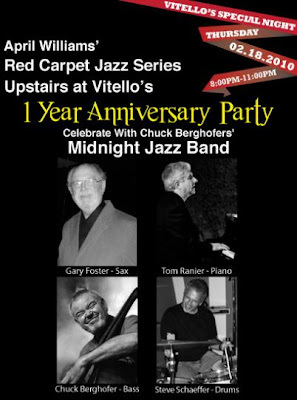 Red Carpet Jazz 1 year Anniversary Party!! !